Bangkok, Thailand. 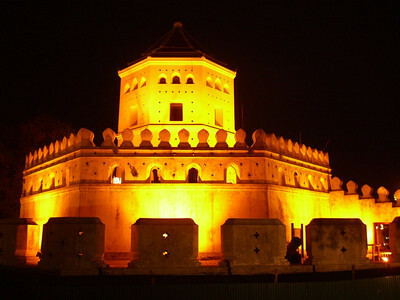 Travel there and you'll see a collision of old world charm and new world glass and steel. 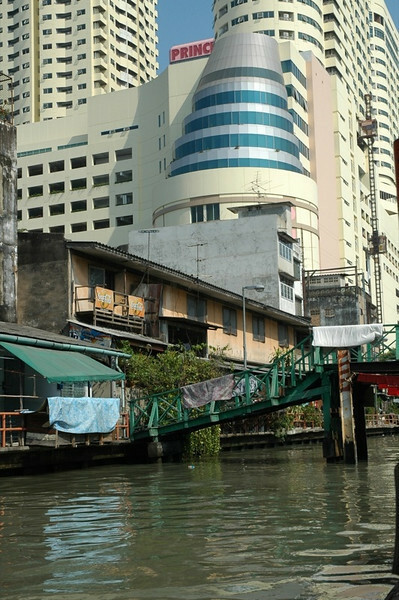 Bangkok is anything and everything to anyone at anytime. 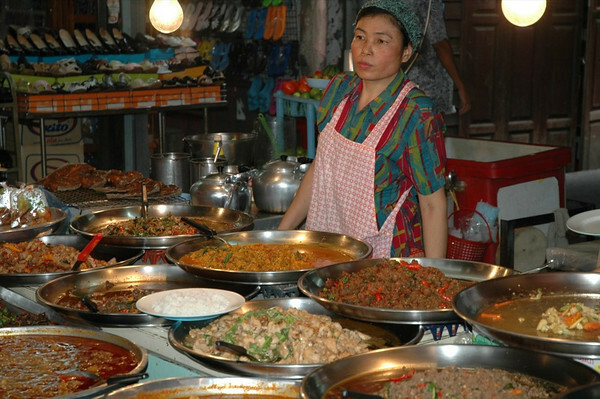 Read Bangkok's 15-course street meal. 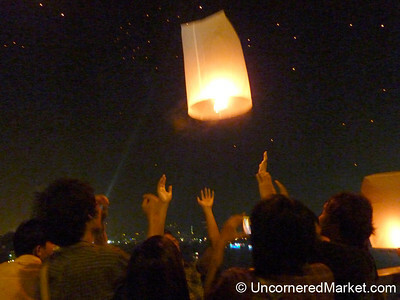 Read about our year end rituals in Bangkok. 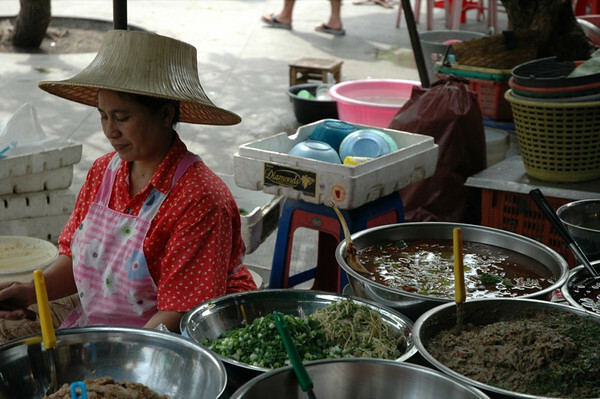 Read Bangkok's 15-course street meal. 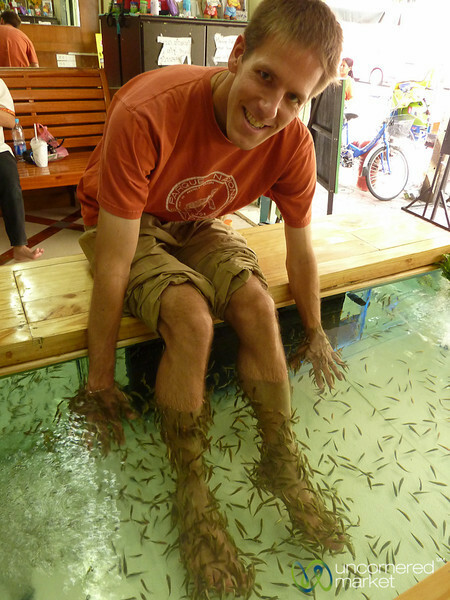 Dan submerges his hands and feet as fish food in Bangkok. 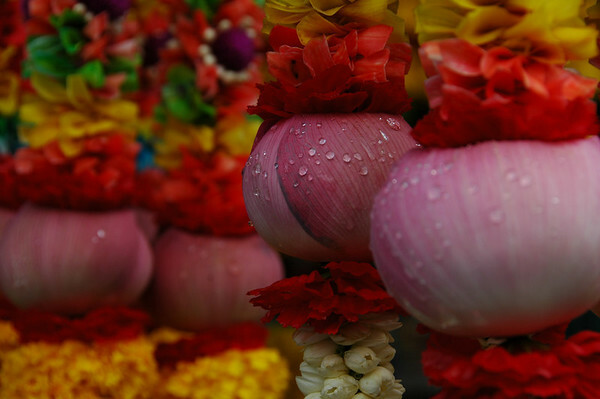 Taken on Phra Athit Road in Bangkok, Thailand. Love how no matter where we go around the world young people love to sport the peace sign. 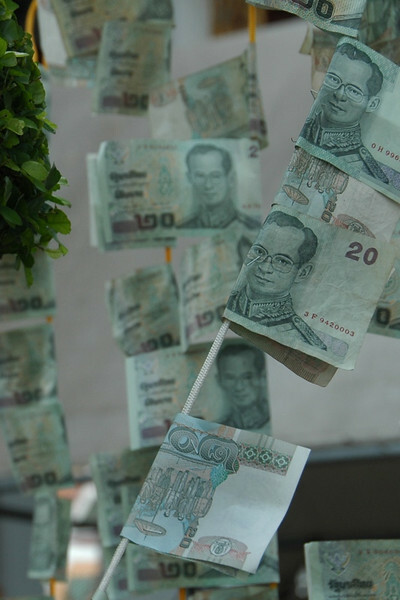 Taken in Bangkok, Thailand. This actor readies himself for a street celebration in the Banglamphu market area of Bangkok. Local families gathered in the blocked off area to watch the festivities (and slowly go deaf from the volume of music and banter). 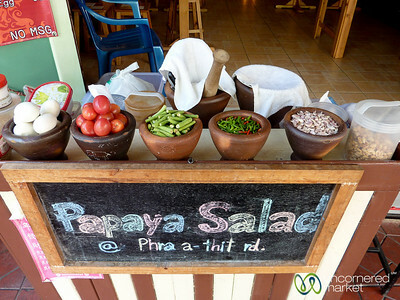 Without any Thai skills, we could still roughly follow the storyline involving love, royalty and a few peasants. Some things are universal. 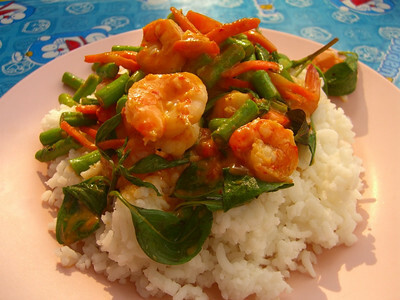 Read Bangkok's 15-course street meal. Take a canal taxi and catch a clash of competing architectural styles. 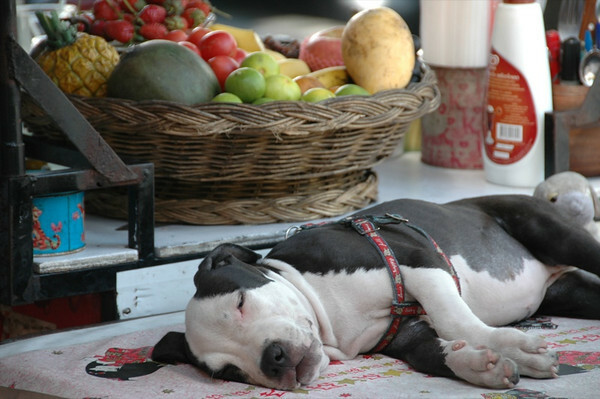 Read Bangkok's 15-course street meal. 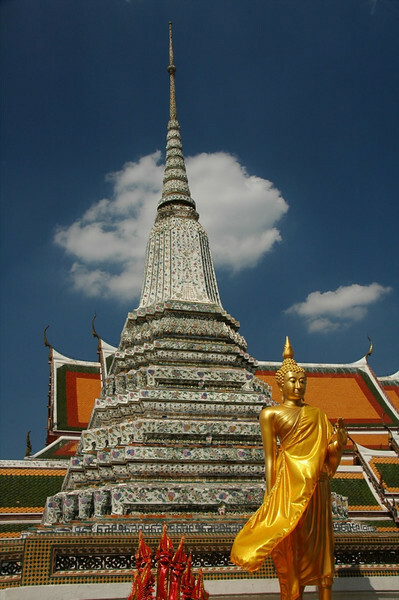 Bangkok blends tradition - overwhelming reverence of the King and a strong devotion to Buddhist culture - and the modernity of new Asia with glass and steel and high-tech shopping centers. 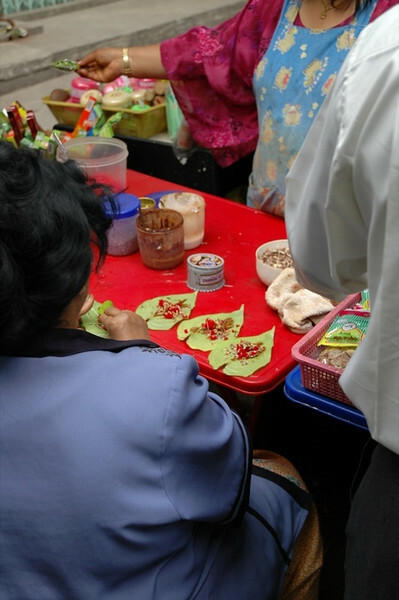 Read Bangkok's 15-course street meal. 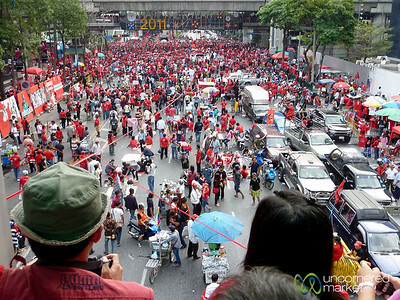 All the bridges were filled with people watching the Red Shirts rally in the streets below in downtown Bangkok, Thailand. 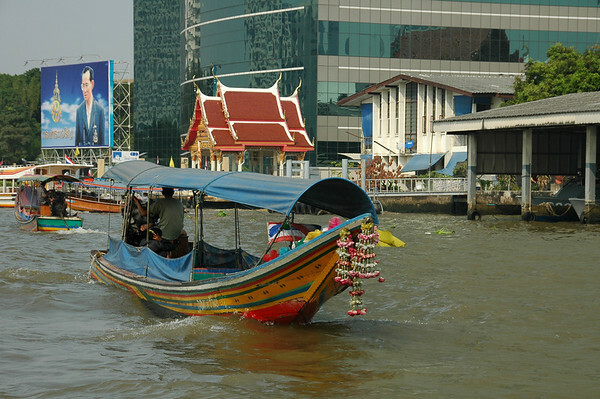 A Bangkok ticket controller takes a break in between canal taxi rides. As the boat gets moving, his balancing act consists of hanging off the side, collecting money from the latest passengers who hop on board, and ducking frequently for low bridges...all seemingly without looking. 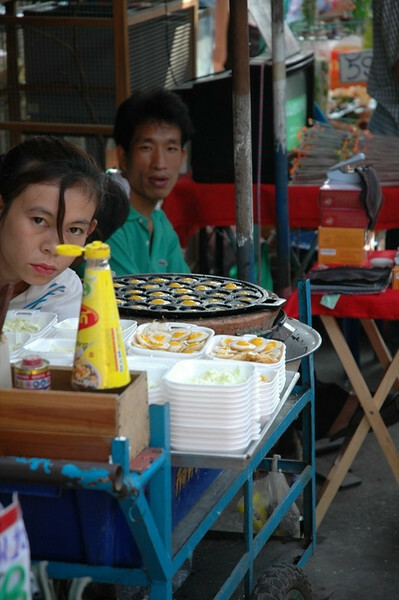 Read Bangkok's 15-course street meal.